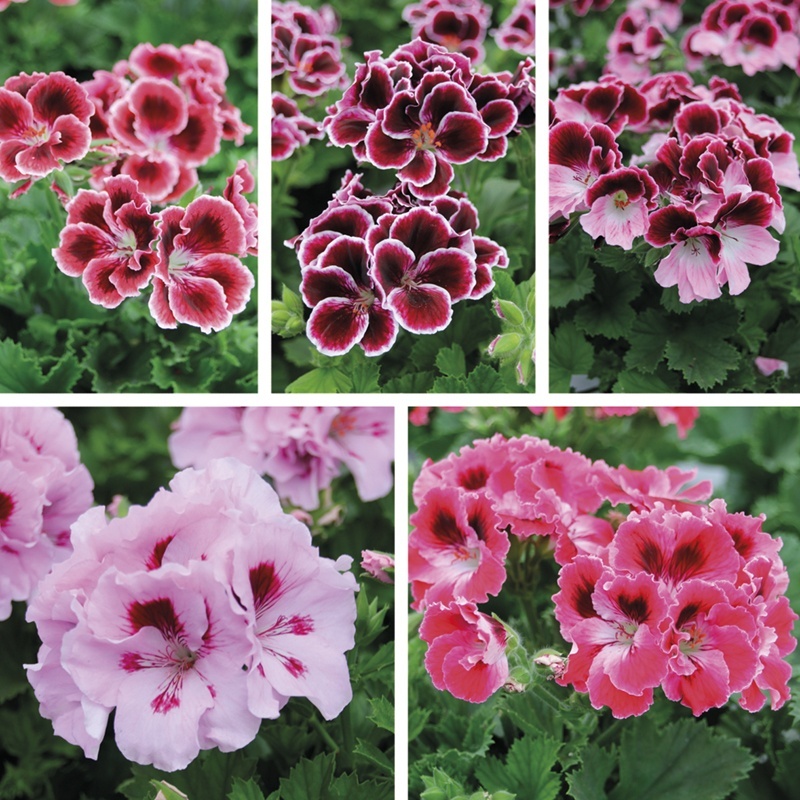 The Pelargonium Elegance Collection consists of 5 varieties, 1 each of Adele, Imperial, Janette, Lavender Splashed and Red Velvet. 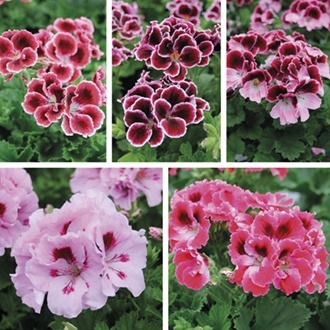 We all love what we might call ‘old fashioned’ pelargoniums – the ones our grandparents may have grown and ones which were hugely popular in Victorian times. However, as lovely as these varieties are, it’s often quite difficult to get them into flower! So, during our trial visits last year, we were thrilled to find some modern interpretations of these wonderful plants – all with superb flower power and in a range of vibrant colours. Suitable for growing inside as a pot plant and quite spectacular for container displays outside, they are strong and vigorous with bushy and well-branched habits bearing an abundance of blooms through the summer. One of our favourite finds for 2018. Easy to maintain, grow in moist, but free draining compost in a sunny or partly shades spot. Feed weekly to keep the flowers coming.